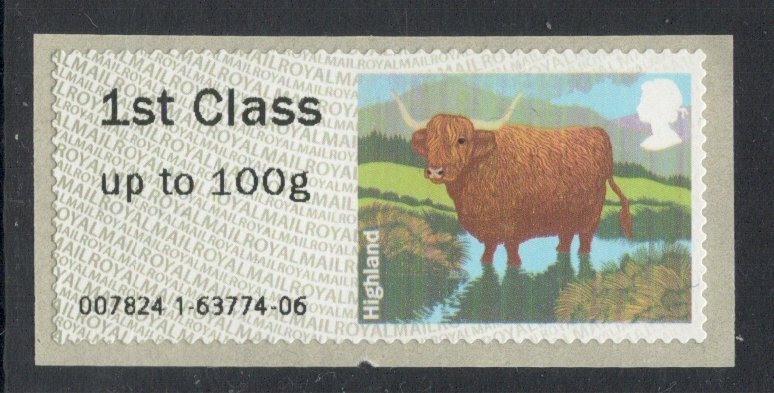 When I look back at 2012, there's one philatelic moment that stands out more than any other and that's my discovery of the Post and Go stamps. I'm normally not that quick (or keen, for that matter) to jump on these modern philatelic bandwagons, but I must admit that I'm thoroughly hooked on the world of PAGs. It all started so innocently when I offered to go to the Edinburgh kiosks to give an update on known usage information which is recorded by keen PAG collectors. What I liked immediately was the fact that I wouldn't know exactly what would come out of the kiosk. Plain Machin stamps? Birdies? Sheep? I loved the lottery element of it all. It reminded me of the good old days when we had booklet vending machines in many post offices. I was always buying one or two, hoping to one day get that one with the large phosphor shift. Back to 2012, and it turned out 'my' kiosk was fitted with cattle PAGs, which was the most recent design at the time. It didn't take me long to get hooked. Would I be able to get all the designs? And what about all those codes at the bottom? Another great thing about these PAGs: there are so many levels of collecting them. You could opt for just the general designs, try and get all the designs with all the denominations, and even go further and try and get samples from each and every kiosk in the land, for each one has its own number which is printed onto the stamp. Then, of course, there are the errors and varieties, such as too large fonts or PAGS which have no information printed on them whatsoever. Stories of people yanking at them when they come out of the machines, hoping to create varieties in that way. It's all too good to be true! 'Worldwide' and bottom codes in too large a font, and weight limitation missing. 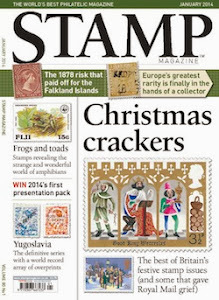 Unfortunately, it IS all too good to be true, for, as is discussed in this month's Stamp Magazine as well, it seems that Royal Mail may well be sniffing money, because the true PAG is in danger of being replaced with collectors items. 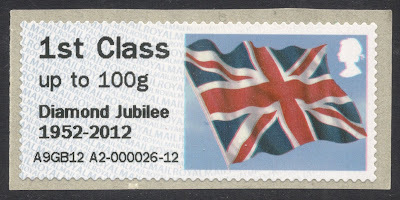 Special, limited overprints, year codes, all the trimmings which have infiltrated regular philately as well. You may like them, but they are blatantly aimed at collectors rather than the public. One way to avoid this, and I'm a big fan of that, is to only get the PAGs from proper kiosks in proper post offices, and forget about the fancy collectors items. That way, you can collect that which is truly available to the public, and which is truly (well, more or less so) produced for use on one's mail, rather than to be put in one's PAG album. But having said that, you would then miss getting items such as the one below. It is a presentation pack PAG, and you can see that because of the A9GB12 code, with 9 being September, GB being the country of production (try and get the NL version for packs that were made in Holland!) and 12 being 2012. Not sure anymore what the A stands for, but I believe it's for the A kiosks, though someone will undoubtedly fill me in on this one! So, whatever route you decide to go down on, be assured that it's a great addition to the philatelic world and I for one am glad I've embraced it with open arms! 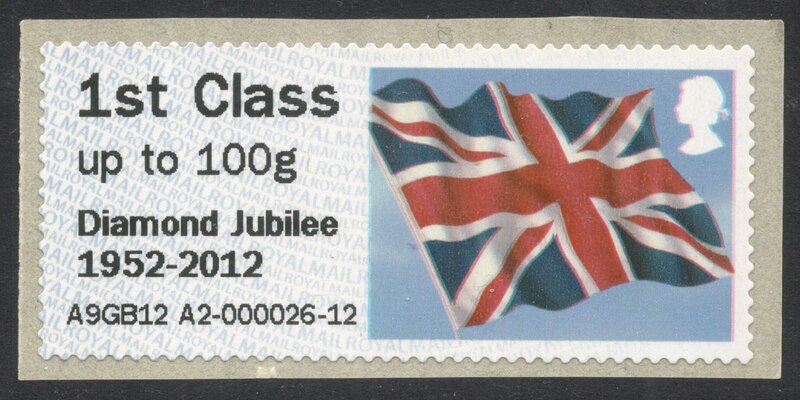 PS: While we're nostalgically looking back at 2012, why not vote for the Best GB stamp of 2012 in our poll? You have until the 11th of January to do so, so get voting! I used the "Post and Go" (Nixdorf?) machine at North Finchley Post Office on Saturday. My main aim was to buy "stamps" for two envelopes that I wanted to post immediately. For this reason, I selected the "Post Items" button on the main menu, rather than "Buy Stamps" option. The result was that I purchased two "labels": one for my large envelope (UK destination) and one for my small packet (destination Germany). Neither of these labels were of the "Post and Go" stamps variety that Adrian talks about above. In hindsight, I wish that I had bought duplicates of these "labels" for my collection. Via the "Buy Stamps" menu option, I did susbequently obtain a selection of "Post and Go" stamps (there is an option that allows collectors to buy one of each standard price variety). In short, this is one machine which (my distinction) is dispensing two different products: "labels" for immediate postage; and "stamps" for future usage. Perhaps the labels dispensed by these machines desrve as much philatelic attention as their more colourful counterparts?